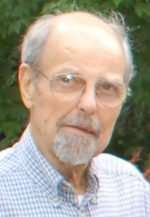 Charles Kenneth “Ken” Gulling passed away at the age of 88 from natural causes on March 7, 2019, at Mercy Medical Center Redding, surrounded by his family. He was born to Ellis Dow and Elsie Burbank (Haggerty) Gulling, in Portola on Dec. 16, 1930. The oldest surviving child of six, Ken remained close to his entire extended family. He met Betty Louise Jasmann in 1949 and they married on Dec. 20, 1951, in Sparks, Nevada. Over the next 67 years, they raised two daughters, two sons, and one granddaughter. He passed on both his sense of humor and his stubbornness to all of them. Ken served in both the Navy and Air Force before becoming a Game Warden for the State of California in 1967. The Gulling family lived in many places before moving to Dunsmuir in 1974, followed by Mount Shasta, in 1979, where they stayed until Ken’s retirement in 1992. After retirement, they settled in Anderson. Always a lover of the great outdoors, Ken enjoyed fishing, hunting, camping, and backpacking. He tied his own fishing flies and spent many winters cross-country skiing. He was involved with black powder gun clubs and the family spent every summer at the annual Trout Creek Rendezvous. One of his passions was genealogy; he spent decades researching family history, chasing down facts, and deciphering ancient handwriting. A beloved husband, father, grandfather, brother, uncle, and friend, Ken is survived by his wife, Betty Gulling; his children, Robert Gulling and his wife, D’Ann, Kelvin Gulling and Lisa Ervin; his sister, Lois Sparks; brother, Alan Gulling and his wife, Connie; and sister-in-law, Nelda Gulling; his granddaughters, Kristin Gulling-Smith and her husband, Christopher; and Caitlin Gulling; Mary Young and her husband, David, whom he considered one of his own grandchildren, as well as their three daughters; and many cousins, nieces, and nephews across multiple generations. Ken was preceded in death by his parents, Ellis and Elsie Gulling; his oldest daughter, Terrie Lee Gulling; his son-in-law, James Ervin; his older brother, Laurence Gulling; his younger brother, Glenn Gulling; his younger sister, Dorothy Rice and her husband, Douglas; and his brother-in-law, Wendell Sparks. There will be no service, but the family will have a memorial on Saturday, May 11, 2019, at the Scout Building in Anderson River Park, 2800 Rupert Road, Anderson, beginning at 11 a.m.
Long time Quincy resident, Linda Gale Jordan, loving mother, grandmother, great-grandmother, sister and friend passed away suddenly on March 21, 2019, at the age of 78, to join her beloved husband. Linda Gale Jordan was born in 1941 in Oklahoma. She moved to California at a very young age. She met the love of her life, Robert Jordan, in National City. Together they raised three daughters, Amy, Lorrie and Tracie, in Pine Valley. In 1983 they moved to Plumas County where Robert was a California Highway Patrol officer and eventually retired. Linda was well known as Ms. Jordan (or Mom), the loving attendance clerk for Quincy High School from 1985 to 1994. After her retirement, she spent time with her 10 grandchildren and eventually four great-grandchildren, whom she loved dearly. After almost 19 years living on her own, she has finally joined her loving husband in heaven. Linda is survived by her daughter, Lorrie Bennett and husband, Mark, daughter, Tracie Nolan and husband, David, daughter, Amy Jordan, her 10 grandchildren, Brad Logan, Eric Logan, Melodie Bennett, Kevin Logan, Joshua Nolan, Jessica Bennett, Amanda Nolan, Kristian Samuels, Lynda Nolan, and Sara Nolan, will miss her dearly. Her four great-grandchildren, Adrienne Logan, Paisley Logan, Jordan Nolan and Grayson Bennett-Adams, are so happy they got to meet her. She is also survived by her sister Debbie Ray. She was preceded in death by her sister, Joyce. Please join her family and friends to celebrate her life on Saturday, April 6, from 3 p.m. to 6 p.m. at the Mineral Building in the Plumas-Sierra County Fairgrounds in Quincy. Bailing wire, plywood and duct tape … the vital ingredients for George Terhune’s life. George died March 19, 2019, leaving behind many undone inventions. He lived out his last days at home among family. George was born in Bakersfield on Dec. 22, 1929, the eldest of five children. He lived most of his childhood in the lower Bay Area. He didn’t quite finish college, preferring to join the Air Force and become a pilot. He excelled and developed a life-long passion for aviation. He worked 25 years for Pan American airways, as navigator, engineer, co-pilot and ultimately captain of the 747s. As Saigon fell during the Vietnam War, he piloted the last flight out with a baby on his lap. During his trips he spent his time off romping through the countryside always eager to learn something new. His favorite travel buddy and wife, Pat, often accompanied him, having quite the adventures on many continents. George became active in international airline safety work, investigating plane crashes, helping invent the heads-up display for the cockpit windshield, and the technology to prevent accidents from wind shear when landing planes. There wasn’t much George didn’t take on to design, invent, or build. If he could envision it, he would try to bring it into reality. He not only could do all manner of tasks involved in building a home, he was also a welder, rod iron artist, computer expert, technical writer, inventor and big thinker all round. His favorite medium to build with was ferro-cement, a process of creating free-form structures out of concrete and chicken wire. With that approach, he built a fireplace, a hot tub, a couple of water giant tanks and even a bridge. His inventions included transforming an autoharp into over a hundred playable chords; a paint roller cleaner that took a gallon of water; and pocket-size language translation books that utilized pointing to words and symbols to communicate, an ingenious approach for traveling in difficult language countries like China and Japan. One of his last inventive efforts was to create a football catapult that allowed one to practice becoming an expert kicker. He was thinking of his 4-year-old grandson’s, Oisin’s, future football scholarship. 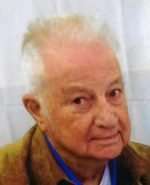 Many of you will most remember George from his deep involvement in Quincy Library Group. For 20 years he and his wife Pat devoted thousands and thousands of hours to this forest thinning project. George lost his beloved Pat three years ago. They met when she was 19 and he 23, courted for two whole days, were engaged for two whole weeks and were married for 63 adventurous years. Ever since then the light began to slip away from his zest for living. He leaves behind a big family of four children, 10 grandchildren and nine great-grandchildren — too many to list, but all are incredibly grateful for Papa George’s generosity and willingness to drop anything and come help with his brilliant mind and strong body. He never backed down on what he believed was ethical, correct or worth pursuing. If he encountered a puzzle or problem that could use solving, he would instantly be chewing on a solution and begin to experiment. George possessed a rare practical genius,; he was a Renaissance man who could do anything he set his mind to.